When people think about casino gambling the first image that usually runs through their heads is a man in a suite sitting at a roulette table. The roulette wheel is the ambassador to the casino, and this is proven by the fact that whenever a casino is mention in a book or shown in a move the first thing they do is show you the roulette wheel spinning around. N o other games in a casino shows the majestic elegance of the casino better. There is just something about Roulette that has made it the universal symbol for casino gambling. The name Roulette is French, meaning Little Wheel. There are 2 types of Roulette, the European style with only a single 0 on the board or the American version with a 0 and a 00. Most American casinos and online casinos will offer you both versions of the game to play but many European casinos only have the European version of the game. If you are looking to start playing Roulette as your new casino game if it can be found at every single casino I have ever been too and you can also log on to an online casino and play the game from the comfort of your home or office. 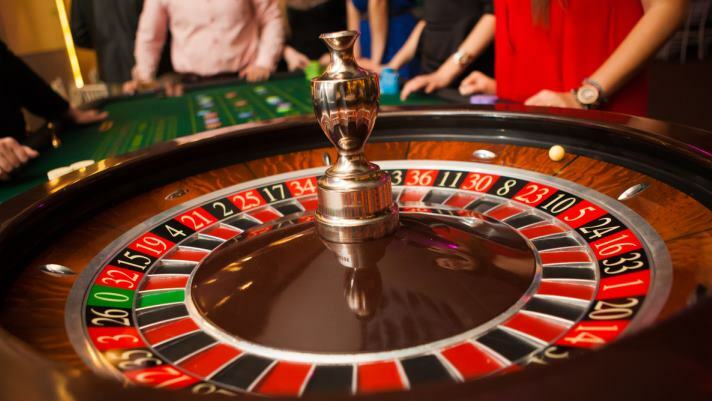 Below you will read about the history of Roulette the rules and procedures to help you learn the game better and increase the chances of winning some money. Roulette is definitely not one of the most complicated games in the casino, but before you start placing any complicated bets, you have to be familiar with the roulette rules. The object of roulette is pretty simple. The player has to predict where the ball will land after each spin of the wheel. Obviously, luck plays a big part in this game and you cannot change the way the wheel is spinning or the place where the ball has landed. The player plays against the house represented by the dealer (or the croupier), who spins the wheel and handles the payouts and the bets. The European roulette wheel has 37 slots, 36 numbers and one zero. The American wheel has 38 slots, 36 numbers and two zeros. Before you choose a table, you have to know what is the table minimum. If you are playing at a $5 minimum table, you have to place at least $5 on each of your outside bets and/or a total of at least $5 on your inside bets or that you can place five different $1 bets on five different inside bets. First you have to buy colored chips that you exchange with the regular cash chips. Each player gets a different color in order not to mix between the bettors. The value of each chip is imprinted on it. You can take your time when you place your bets on the table. You also do not have to worry about other players bets because you can put your chips even where other people placed their bets, and you can also do that while the wheel is still spinning, but not after the dealer waved his hands over the table or said “no more bets” out-loud. Once the ball has landed, the dealer calls out the winning number and also places a marker on the specific spot on the table. Then the dealer sweeps the table again, the winner gets paid and a new betting round starts. The true origin of the roulette history is somewhat of a mystery and will probably stay like that, since we do not have enough sources to reveal the truth behind it. We do know that most people claim that roulette (“little wheel” in French) was invented back in 1655 by Blaise Pascal, a French scientist, and it was first played in Parisian casinos. Other claim that it was invented by French monks who invented it in order to entertain themselves and to break the daily routine in their monastery. There also those who claim that the origin of this game is in an old Chinese game that was later played in Tibet and somehow was thought to French Dominican monks. The modern version of Roulette appeared only around 1840 when two Frenchmen invented the single “0” roulette game that became quite popular in Europe, but was rejected in the United States after it was brought there. The American version of roulette wheels was preferred to be with two zeros, “00”, and from then became known as the “American Wheel“, while the one zero wheel, who was popular in Europe, consequently was dubbed as the “French Wheel” or the “European Wheel“. Nowadays, almost every casino in the world has a roulette wheel, which is also considered to be the oldest casino game in the world.